See below to download the “Elliot Aronson Revisited” interview. It is the sequel to our exceptional 2010 Q&A Interview with the legendary social psychologist, Elliot Aronson, PhD., author of Not By Chance Alone: My Life As A Social Psychologist. Elliot’s Extraordinary 2010 Interview. As preparation, I promise you will absolutely enjoy listening to Elliot’s 2010 interview. There was a huge international audience in attendance. Elliot was incredibly engaging, authentic, wise, funny at times, telling wonderful stories and giving great answers to each question. You can listen to it online here or download it as an MP3 here or read a wonderful transcript of it here, complete with embedded images and links. However for maximum impact, I recommend that you listen to the full interview instead. Thanks for stopping by! (You will love Elliot’s interview.) You’ll also receive a complimentary subscription to the eMC News, our monthly enewsletter and can opt out at any time. Your privacy and email address are safe with us. How does a boy from a financially and intellectually impoverished background grow up to become a Harvard researcher, win international acclaim for his groundbreaking work, and catch fire as a pioneering psychologist? 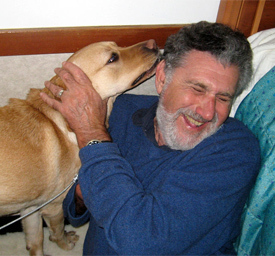 As the only person in the history of the American Psychological Association to have won all three of its highest honors-for distinguished research, teaching, and writing- Elliot Aronson is living proof that humans are capable of capturing the power of the situation and conquering the prison of personality. A personal and compelling look into Aronson’s profound contributions to the field of social psychology, Not by Chance Alone is a lifelong story of human potential and the power of social change. 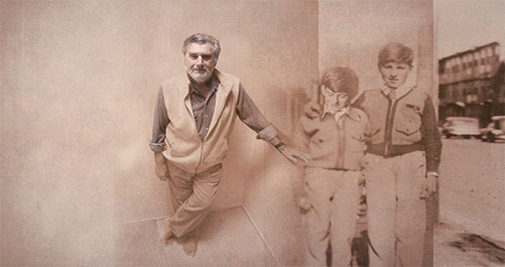 Photographed by Kathryn Jacobi for her series, “The Child is the father of the Man”. www.kathrynjacobi.com More about this series here. 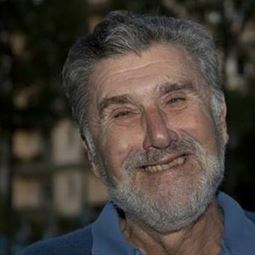 Elliot Aronson, Ph.D. is currently Distinguished Visiting Professor at Stanford University and Professor Emeritus at the University of California, Santa Cruz. He has published over 130 research articles and 22 books, including the award-winning The Social Animal, now in its 11th edition, and Mistakes Were Made (But Not by Me). His written work has been translated into 16 foreign languages. His latest book is Not by Chance Alone: My Life as a Social Psychologist. (Basic Books, August 24, 2010). He has long-standing research interests in social influence and attitude change, cognitive dissonance, research methodology, and interpersonal attraction. Elliot’s research has aimed both at testing theory and at improving the human condition by influencing people to change dysfunctional attitudes and behaviors. Elliot is one of the most eminent and versatile psychologists of our time. He was chosen by his peers as one of the 100 most eminent psychologists of the twentieth century. He is the only person in the 110 year history of the American Psychological Association to have won all three of its major awards: Distinguished Research (1999), Distinguished Teaching (1980), and Distinguished Writing (1975). In addition, among his many honours are the Gordon Allport Prize for his contributions to the betterment of intergroup relations, and the Donald Campbell Award for distinguished research in social psychology. Elliot and Positive Psychology. In graduate school at Stanford, Elliot worked with the extraordinary social psychologist, Leon Festinger, and went on to develop crucial modifications in Festinger’s theory of cognitive dissonance. While Festinger was not interested, in the least, in applying psychology to improve the world, Elliot was. He went on to conduct positive psychology research and large scale organizational interventions long before positive psychology was cool. For example, if positive psychology includes developing “a scientific understanding and effective interventions to build thriving in individuals, families, and communities” (Seligman et al, 2000), it was sorely needed in Austin, Texas in 1971. The city’s schools had just been desegregated and the class rooms and playgrounds were filled with turmoil, hostility, aggression. The school superintendent called Elliot to see if he could help. Elliot sent graduate-student observers into the class rooms, saw what was fueling the inter-group hostility, and developed an ingenious, powerful intervention that came to be called the “Jigsaw Classroom”. It created a cooperative learning technique that reduced racial conflict among school children, promoted better learning, improved student motivation, and increased enjoyment of the learning experience. It proved to be extraordinarily effective in Austin and is now used in schools throughout the US and the world. To read the rest of the story, click here. For the full Jigsaw website, click here. Elliot’s undergraduate mentor at Brandeis, Abraham Maslow–in sharp contrast to Festinger–passionately believed that psychology should be used to improve people’s lives, a belief that Elliot found to be inspiring. By chance, it was Maslow who first coined the term, “positive psychology”, back in 1954, more than a half century before Seligman’s APA Presidential Address. Elliot married Maslow’s inspiration and passion with Festinger’s brilliance and unparalleled skill in science and research and has gone on to make extraordinary contributions as a teacher, researcher, writer and theorist and as a psychologist who has truly made the world a better place because he lived. For the full story, you have to read Elliot’s beautifully written autobiography, Not by Chance Alone. An Incomplete List of Eminent Psychologists of the Modern Era. Elliot is #28 on this 2014 rank ordered list of the 100 most eminent psychologists of our era. New York Times: A CONVERSATION WITH/Elliot Aronson; No One Left to Hate: Averting Columbines. Click here. Elliot was chosen by his peers as one of the 100 most eminent psychologists of the twentieth century. For the original publication, click here. Elliot’s first, classic study exploring dissonance theory. How Elliot uses J. D. Salinger for guidance in doing research. (First new paragraph, this page.) This whole article, the text of an after-dinner speech, is excellent. A thoughtful review of Not By Chance Alone by John T. Chibnall for APA’s PsycCRITIQUES. February 9, 2011. Gazzaniga, Michael S. (2006). Leon Festinger: Lunch With Leon. Perspectives on Psychological Science. A delightful essay about Leon Festinger that captures his brilliance.